Q: What is the kindest and most appropriate definition of our Carer? A: "The wind beneath my wings " Bette Midler. Some of the 'uninitiated' might quite well in all innocence believe that the Carers 'debility' is in direct proportion to the level of brain damage to their spouse, or partner. That couldn't be further from the truth. That is why it is desired to create a new section proportional to this one; where the Carers can themselves reveal the facts behind how they have fared in their traumatic lives turned upside down by this cruel fate. Firstly here we feature some of the survivors of the Different Strokes Portsmouth group. "However it must not be ignored, the contribution that our Carers make not only in personal support; but also in their voluntary work on activities, events and as members of the Group's Committee. Currently, Andy's partner, Di Summers is the very hard working Group Secretary and Lorraine is the ex officio Assistant Treasurer. Not to forget the other carers/helpers. Without them all; there would be no Portsmouth Group. Well done! " of a Landfill Site with Sita UK. He is the "members' representative" on the Group's Committee. Carolyn Haldenby: Born and bred in Portsmouth, Carolyn spent her working life as a hairdresser, starting straight from school at the age of 15. She retired in 1983 after 24 years of hairdressing. 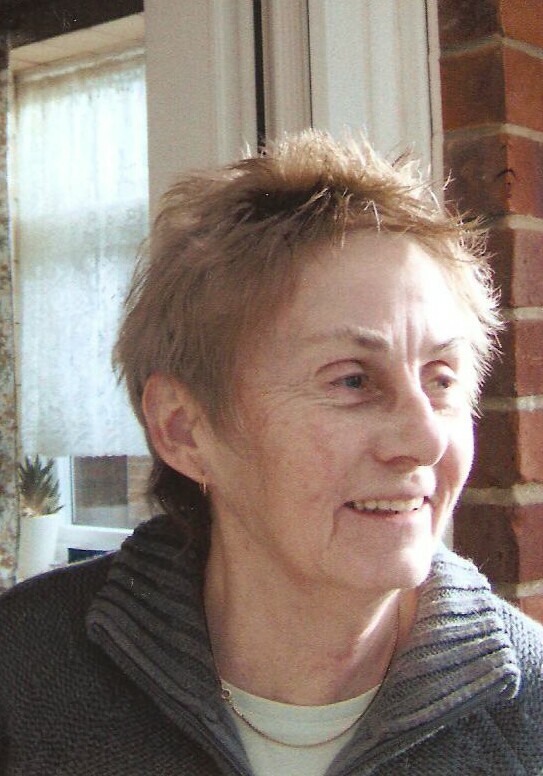 In the years following discharge fron Haslar hospital, Carolyn faced further challenges; but which she has bravely overcome and returned to her home in Hilsea where she feels an independent person once more.